I get a lot of questions about espresso machines lately, mostly from people who really want to have one in their home. These people don’t really want to spend a fortune on it, or they simply want to know about the best ones regardless of price range, just in case it’s within their budget. How much should I spend on an espresso machine? What coffee do I buy for an espresso machine? Is espresso made with steam? What is the best espresso machine for beginners? What is the best home espresso machine? How long does an espresso machine last? Here I’ll be answering many of the common questions you may have about espresso machines in general. We recommend spending within your budget. In that case, you can choose a machine under $1000 like we’ve covered here. You don’t want to spend a fortune, but you want to get a good machine that will last for years and years. When your machine costs around 500 to 700 dollars, but it lasts 10 years, you’re getting quite a good deal. There’s no specific coffee that is only used for espresso. The espresso machine uses a specific kind of grind. It’s a fine grind that has water forced through it under extreme pressure. Espresso is a method used to make coffee. It’s not a certain bean that’s roasted for the method. It does use a fine grind, though. You will want to be certain that you’re getting a good roast and fine grind. If you want to control the entire taste of your coffee from start to finish, you can get a roaster. You can also grind the beans yourself. Roasting then grinding your beans will give you complete control of every aspect that will influence the taste. The difference is the grind as well as the method. Espresso needs a fine, tightly-packed grind. That grind is tamped down when placed in the machine. Boiling water is forced through the grind. This gives you a more concentrated shot of caffeine. The process is very fast compared to drip coffee. With drip coffee, loose grind is placed in the filter. Water drips slowly into the grind and drips into the pot. The grind for drip coffee isn’t as fine or tightly-packed as espresso grind. Drip coffee comes with more caffeine than an espresso, but that’s because there’s more liquid. A cup of drip coffee can be approximately 6 to 8 ounces per cup. Espresso is a mere 2 ounces of super-charged caffeine shots. The espresso machine pushes pressurized water through the grind. The water is nearly boiling when that process is being done. The machines can be driven by steam, piston, air pump, or regular pump. There’s a steam wand for making frothed milk for drinks like lattes and cappuccinos. That steam wand isn’t used in the process of making the espresso. The best machine for beginners will be simple to use. It’ll be fun and fast, so you’ll be able to pull flavorful shots of espresso. It should have a wand for steaming milk. Adding silky froth to your drinks is one of the best ways to get a flavorful drink. You’re not limited to simply espresso with the machine. The beginner machine is also able to work with you even as you advance in your knowledge and skill level. On this site, we have covered quite a few espresso machines. I believe the ones covered here are some of the best for beginners. When it comes to the best home espresso machine, it will often come down to budget. Along with budget, the best machine will fit with your goals. If you want to become a home barista with skill, you’ll want one that grows with you as your knowledge does. If you want a quick, really good espresso, but don’t want the fuss, you’ll look for a machine that is as automated as possible. In this review, the espresso machines will grow with you. There are a few that have automated features, too. Machines are meant to last for years and years. For example, a Rancilio is made to last up to 15 years. A Rocket will last for 10 to 20 years. A Via Venezia will last 10 to 15 years. You can get a machine that costs less than $1000, but will last longer than your favorite car. You will have to do routine maintenance and cleaning of the machine to ensure it lasts, though. I’ll be glad to help you by giving you info about my favorite espresso machines that cost less than 1000 dollars. In a way, these can still be considered inexpensive if we’re talking espresso machines. They can cost thousands of dollars once you get into the commercial models. I have chosen three really high-quality espresso machines that work well, brew delicious espresso, and will not cost you a whole lot of money. I always recommend the following espresso machines from one simple reason – if you don’t have a coffee shop, you do not need a gigantic and ultra expensive espresso machine. 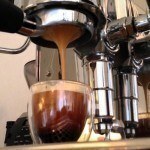 My top three best espresso machines under 1000 are excellent for any household. Let’s begin. My first recommendation is Breville 800ESXL, an espresso machine that has 4 stars on Amazon and is currently priced ridiculously low. It also gets high marks where ever you look. Here’s what I love about this machine – the Breville 800ESXL poses some serious competition to any big and ultra-expensive espresso machine. First, it’s much smaller than most of them at 12 x 10 x 12.5 inches, but it does excellent work and can fit easier onto your counter. The Breville 800ESXL comes with a 75 Fl.oz removable front-fill water tank, 4-1/2-inch cup clearance and swivel steam wand with frother. Besides that, filters and a decent tamping tool is included, as well as a cleaning tool and stainless-steel frothing pitcher. Here’s a quick video review of this product with some tips and tricks. Equipped with a 15-bar Italian pump and thermoblock heating system, the Breville has an auto purge system for resetting the temperature accurately for the next beverage to be dispensed. It is semi automatic. The Triple Prime Pump releases 3 bursts of hot water that moistens the ground coffee. It results in greater build-up to extract the fullest flavor. Fifteen minutes of pre-warming is enough before you start the brewing process. The Breville 800ESXL is an espresso machine that has a hot water dispenser, which can also help you make tea or hot chocolates as well other types of coffees (like my personal favorite – the Americano). With one brew, you can get two to five cups. It’s for those who love having the control over the length of time it takes to pull your espresso shots (it is not self-automated). Semi-automated, this is more of an ‘old school’ which does not make it less useful or good when making an espresso. Automation is something you pay for, so that could explain the less costly price tag. The only problem I can see with the Breville here is its longevity once the one year warranty has expired. That said, it’s highly rated, so there haven’t been too many instances of people having it conk out on them. Overall, it is not too big, won’t hog all your counter space, and makes perfect coffee for the price. How long does a Breville machine last? It can last from 10 to 15 years. What kind of drinks can I make with the Breville? The steam wand and frother allow you to make all kinds of yummy coffee drinks. You can steam milk for lattes, americanos, or cappuccinos. Second on this list (which is in no particular order I might add) is the Gaggia 14101 Classic Espresso Machine. This machine can range from $300-500 depending where you shop, so its comparable to the Breville above. Still, it’s not yet in the realm of extremely costly espresso machines for the home. Here are the Gaggia Classic’s excellent features – starting with the fact that it’s stainless steel of course. Don’t ever buy an espresso machine that is made of something else. If you didn’t know, Gaggia is a famous Italian manufacturer that produces manual and super-automatic espresso as well as cappuccino machines and has done so for a long time. The overall wattage of all Gaggia machines is kept at 1425 watts. Gaggia has a unique boiler system incorporated with 2 heating elements. It has a 58 mm filters that usually are found in models that are a bit more expensive. Now, Gaggia offers something more affordable, yet professional, and equal to any espresso machine you’ll find at your local coffee shop. The 58 mm diameter helps the water distribute evenly over the entire surface. This way, it helps you to brew better espresso. Its Pannarello steam wand eases the brewing to a point where even an amateur barista can do it. It comes with a 17 ½ bar pump, a high-voltage boiler, and an independent expansion valve. 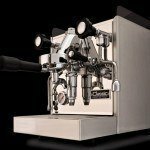 Gaggia has a 3-way solenoid valve that releases the pressure from the brass group head, making it instantly accessible to the porta-filter for immediate re-shot filling. You can make two shots of espresso at once. The Gaggia Classic espresso machine does not come with a built-in grinder and tamper, as some of the more expensive models do. The Gaggia Classic 14101 contains a super-conductive aluminum boiler that gets heated from two exterior elements on either side of the boiler. This way, the Gaggia espresso machine is provided with heat distribution, even with the low-volume and high-wattage set up. This classic espresso machine has a fast heating time. This machine comes with a three-rocker arm that switches for full control, complete with temperature indication lights and a steam switch. 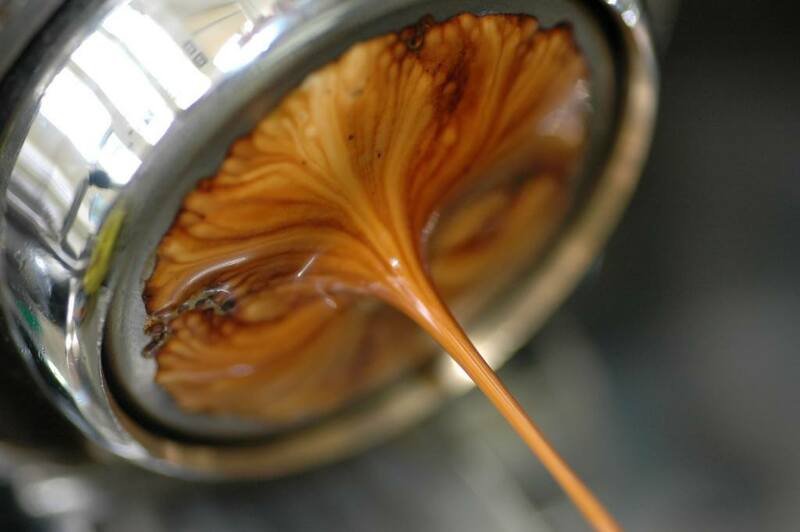 You’ll know instantly where in the extraction and brewing process your espresso is. The Gaggia Classic also comes with a cup warmer that is big enough to preheat 5 cups at once (the original Italian espresso is served in a preheated cup). The heater is passive, and it doesn’t need any extra power. It uses the residual heat created in the boiler. Is the Gaggia a good brand? This machine is made in Italy. That’s where espresso originated. You can expect quality from this brand. How long will the Gaggia machine last? This machine will last up to 10 years. And finally, we come to the fabulous Rancilio Silvia espresso machine. It currently has the largest price tag, but is also arguably the most class act of all three of these machines. 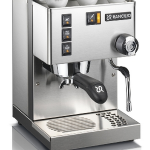 The Rancilio Silvia is a quality, semi-automatic, entry-level commercial espresso maker. For home use, it’s almost top of the line. Rancilio built this machine using internal parts made from copper, steel, and parts like they use in their commercial machines. The Silvia easily makes eight shots a day without any problem and works perfectly for years. The boiler of the Silvia is an internally heated, brass, 12-oz capacity 952 watt unit. If you look at the inside of the boiler, the new boiler Rancilio uses has a different heating element. Previously, it had a copper heating element. The Rancilio Silvia also has a three-way solenoid valve, which takes the excess pressure and moisture off after you pull your shot. It makes it easier to get the dry coffee puck out of the porta-filter, and it also reduces stress on other mechanical parts of the unit. If you reach under the drip tray, you can feel the solenoid valve located there. Brewing is done at around 200°; steaming is done at about 280°. Always purge the water in the line first and wait until it turns to steam. At this point, you will be ready to begin steaming. This is a durable home espresso machine that costs less than 1000 dollars and works perfectly. It may be the most expensive on this list, but it is also the most durable based on clients reviews that said they have been using it for five years. Is the Rancilio good for beginners? This machine has made a name for itself by being the premier machine for beginning home espresso makers. All the features are easy to enjoy while being influenced by commercial machines. 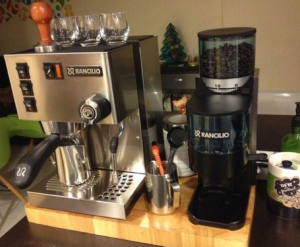 How long will the Rancilio machine last? 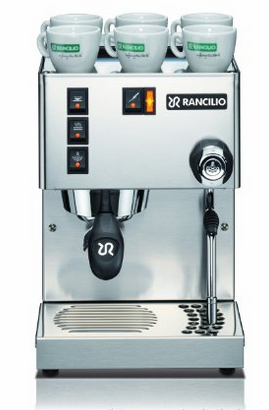 As mentioned above, the Rancilio will last up to 15 years. It has to be maintained and cared for properly to get that much life out of the machine. 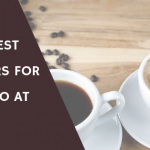 These are my top three best espresso machines under $1000 that I recommend to anyone who loves espresso like myself – whether a newbie, a coffee enthusiast or a coffee aficionado. There is no lofty philosophy behind the art of making the best espresso – all you need is a little practice, and you will become a home barista. 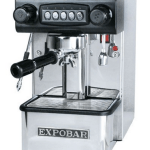 The investment for any of these espresso machines is minimal (if we compare it to espresso machines that are real beasts and cost more than 2500 dollars) and yet they will do the necessary work for you. You will get your espresso quick and with minimal fuss. 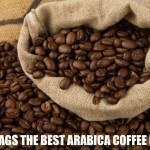 Best Arabica Coffee Beans – Koffee Kult, Don Pablo, And More!